We talk a lot about sorting trash, which is super important. But sometimes I get tired of sorting the small stuff — you know, eggshells, glass jars, and styrofoam. There's got to be more to trash than that. And there is! 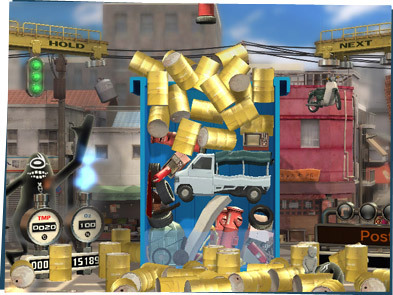 I found this game, Trash Panic, where you sort crazy stuff like old cars, toilets, and barrels — lots of barrels! You have to figure out what trash you can burn or compact and how to fit it all into the dumpster. I didn't realize all the stuff we never see that goes into landfills but this is some serious trash!